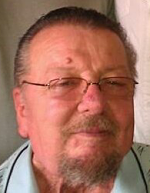 Harold H. Lemley of Allegan passed away April 12, 2017 in Allegan. 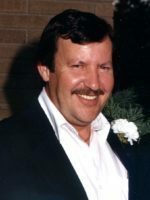 Harold was born December 25, 1949 in Allegan the son of Harry and Caroline (Carpenter) Lemley. He had worked at Hardings, Rockwell, GE, and retired from Menasha in 1993. He enjoyed fishing, hunting and spending time with his grandchildren. On December 27, 1970 in Hopkins he married Terri Hitt who survives. Also surviving are his children, Nancy Lyons and Leanne Lemley; 2 grandchildren, Luke and Brooke Lyons; several cousins and nieces and nephews. He was preceded in death by his parents, a daughter, Paula Ann Lemley; his siblings, Kenneth Lemley, Caroline Berry and Patricia Palmer. Cremation has taken place and private family services will be held. Contributions in memory of Harold may be made to the ASPCA or Wings Home. Norm passed away Sunday, January 29, 2017 at the Wings Home in Allegan. He was born March 8, 1935 in Detroit. 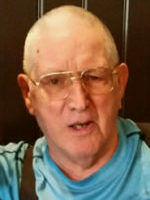 Norm enjoyed bowling, following the Detroit Tigers, horse racing, his dogs and especially spending time on the family farm with family and friends. Surviving are many sisters and brothers-in law. He was preceded in death by his parents, brother, Delbert Monroe and longtime companion, Norma Freeman. A celebration of Norm’s life will be held in the spring at the family farm. Contributions in memory of Norm may be made to the Wings Home of Allegan. Pete passed away Friday, January 27, 2017 surrounded by his family at the Wings Home in Allegan. He was born May 10, 1924 in Allegan the son of Harry and Jennie (Barton) Cary. He served his country in the US Army 82nd Airborne Division during WWII and was part of the Battle of the Bulge and Operation Market Garden. Pete celebrated his 21st birthday in Paris on the day the war ended. 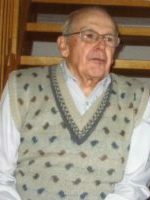 He had worked at Michigan Cottage Cheese for 25 years, owned and operated Skogmos Department Store and Bernea Foods until his retirement in 1986. In his spare time he enjoyed golfing, fishing, hunting and playing cards. Pete was a life member of the Otsego Elks Lodge and the Otsego VFW Post #3030. On June 6, 1948 he married Mary Jane “Bunny” Cummings who passed away in 2015. Surviving are his children, Christine (David) Hicks of Springfield, IL, Peter (Laura) Cary of Otsego and Kevin (Melissa) Cary of Cedar Springs; granddaughter, Helena Cary of Rockford; brother, Ronald (Lee) Cary of Otsego and many nieces and nephews. He was preceded in death by his parents, wife, and siblings, Maxine Branch and Harry Cary. Friends may visit with Pete’s family from 6-8 P.M., Tuesday, January 31, 2017 at the Winkel Funeral Home, Otsego where a funeral service will take place at 11:00 A.M., Wednesday, February 1, 2017. Contributions in memory of Pete may be made to Wings Home of Allegan. Eileen passed away Wednesday, January 25, 2017 at the Wings Home in Allegan. She was born April 2, 1937 in Kalamazoo the daughter of Alfred and Eva (Stoughton) Hagen. Eileen was an Otsego High School graduate and lifelong resident of the area. For many years she had been a nurse’s aide and enjoyed caring for the residents at the Life Care Center in Plainwell and running the activities in the recreations room. 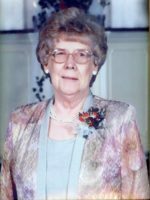 In her spare time she enjoyed growing flowers, doing yard work, taking camping trips up north, playing her lowrey organ and most of all, spending time with her grandchildren. Surviving are her children, Steve (Martha) Hall, Terri Long and Mike (Karla) Hogue; grandchildren, Lindsay (Nick) Umsted, Ashley (Erik) Prins, Matt Long, Tylor (Cali) Bailey, Michelle (Dillon) Hogue and Brooke Hogue; 6 great-grandchildren along with her brothers, Richard (Shirley) Hagen and Ken (Marge) Hagen. She was preceded in death by her parents, step-father, William Warner and sisters, Alfreida Scamehorn and Dorothy Wilkins. Friends may visit with Eileen’s family from 6-8 P.M., Friday, January 27, 2017 at the Winkel Funeral Home, Otsego where a funeral service will be held at 11:00 A.M., Saturday, January 28, 2017 with Celebrant Bill Rose officiating. Contributions in memory of Eileen may be made to the Wings Home of Allegan. Howard W. Gott of Otsego, Michgian, passed away Monday, April 4, 2016 at Wings Home in Allegan after fighting a courageous battle with cancer. Howard was born August 13, 1941 in Detroit to Howard and Dorothy (Kerr) Gott and was raised most of his life in Grand Rapids, Michigan. A veteran of the Army, having served in Germany, he was a member of the Dad’s of Foreign Service Veterans Post #56, Otsego Moose Lodge #345, Allegan Eagles #2315 and South Haven American Legion Post #49. Howard and Terri spent many winters in Florida and loved traveling, going for rides and just enjoying being together. 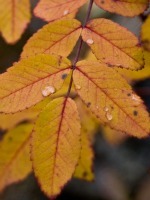 On July 31, 2009 in Allegan he married Terri (Goodacre) Gott, who survives. Also surviving are three sons, Chip (Summer) Gott, Brian (Marie) Gott and Fred (Deb) Cooper; five grandchildren, Tiffany, Brian II, Terner, Tagg and Jett Gott; brother, Robert (Martha) Gott; sister, Margaret (Robert) Vestal; brother-in-law, Robert Goodacre; many nieces and nephews. Howard was preceded in death by his parents; his first wife, Judy; and a sister Maxine Horton. In accordance with his wishes, cremation has taken place. A Memorial Service will be announced at a later date. Donations in Howard’s memory may be made to Wings Home, c/o Wings of Hope Hospice, 530 Linn St., Allegan, MI 49010. Yvonne Ann Nutter age 80 passed away Wednesday, March 23, 2016 at the Wings Home in Allegan. 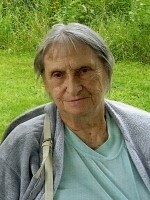 She was born June 12, 1935 in Plainwell the daughter of Clyde and Irene (Day) LaDuke. Yvonne was a lifelong member of the First Baptist Church of Otsego and was part of the True Blue Sunday School Class. She enjoyed collecting salt and pepper shakers and crocheting and had won several ribbons at the county fair for entries she had made. On June 26, 1954 in Otsego she married Kenneth Nutter who survives. Also surviving are her children, Ken Nutter of Kalamazoo, Steve (Trisha) Nutter of Hopkins and Scott (Deb) Nutter of Allegan; 8 grandchildren, Ashleigh, Caitlin (Josh), Zachary, Lexi, Lindsey, Kaileigh (Chris), Danny (Jamie) and Aaron (Daggris); 7 great-grandchildren; sister, Virginia Rockafellow and brother, Cleon LaDuke. She was preceded in death by her parents, daughter, Michelle Nutter and 7 siblings. A memorial service will be held Saturday, March 26, 2016 at 11:00 A.M. at the First Baptist Church of Otsego with Pastor Merlyn Jones officiating. Contributions in memory of Yvonne may be made to the Wings Home or to Christian Neighbors. Wanita passed away Saturday, September 5, 2015 at the Wings Home in Allegan. She was born October 25, 1934 in Kalamazoo Township the daughter of Myron and Ruby (Baker) Alexander. For many years she was a nurse at the Kalamazoo State Hospital. Wanita enjoyed growing flowers and traveling across the US to visit her sister. 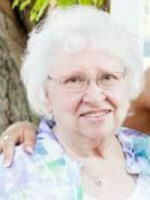 She was a member of the Plainwell Assembly of God where she was active with the prayer chain. On January 14, 1956 she married Vernon L. Bradshaw Sr. who passed away in 2004. Surviving are her step-son, Vernon (Sue) Bradshaw Jr.; step-grandchildren, Tracy and Christy Bradshaw; sister, Doris (Jim) Brown; many nieces, nephews and great-nieces and nephews; best friends, Peggy Lee and Millie Mitchell and her special church family. She was preceded in death by her husband; daughter, Wanita K. Bradshaw; sisters, Alice Lock, Ione Koester, Maxine Barnhart and Sarah Perkins and by her brothers, Jr. Alexander and Ed Alexander. Friends may visit with Wanita’s family from 2-4 and 6-8 P.M. Wednesday, September 9, 2015 at the Winkel Funeral Home, Otsego. A Funeral Service will be held Thursday, September 10, 2015 at 10:30 A.M. at the Plainwell Assembly of God with Pastor Dave Alderman officiating. Burial will take place at 1:30 P.M. Thursday, September 10, 2015 at the Oshtemo Township Cemetery. Contributions in memory of Wanita may be made to the Wings Home in Allegan.